Elsa H. Jones, Administrative Law Judge, Office of Administrative Hearings (OAH), heard this matter on September 10-11, 19-20, and 27, 2012, and October 3, 2012, in Rancho Cucamonga, California. Student and her Mother were represented by Christopher Russell, Advocate, of Advocates on Behalf of Children. On September 10, 2012, Mr. Russell was assisted by Chris Al-Chalati, who did not attend the hearing after that date. Mother was present on all hearing days; Father was present on September 10, 2012. On the afternoon of September 19, 2012, Mr. Russell was assisted by Peter Attwood, who did not attend the hearing at any other time. Upland Unified School District (District), was represented by Jack B. Clarke, Jr., Attorney at Law, of Best Best & Krieger LLP. Amy Foody, Program Manager of the West End Special Education Local Plan Area (West End SELPA), and Benjamin Rich, Director of Student Services for the District, attended on all hearing days. Student filed her request for due process hearing (Complaint) on July 13, 2012. On September 5, 2012, the matter was continued for good cause on request of District. Sworn testimony and documentary evidence were received at the hearing. The parties requested until October 22, 2012, to file written closing briefs. Therefore, the matter was continued until October 22, 2012. The parties were ordered to file written closing briefs by no later than October 22, 2012, at 5:00 p.m. The parties filed their written closing briefs on that date, at which time the record was closed and the matter was submitted. 1. Did the failures of the District to assess Student and to develop an individualized education plan (IEP) for the 2009-2010 school year and extended school year (ESY) deny Student a free appropriate public education (FAPE) during the 2009-2010 school year and ESY? 2. Whether the two-year statute of limitations, as set forth in Education Code section 56505, subdivision (l), bars Student’s claim against the District for a denial of a FAPE, as set forth in Issue 1, during any or all of the 2009-2010 school year and ESY. 3. Whether the failures of the District to assess Student and to develop an IEP for the 2012-2011 school year and ESY denied Student a FAPE during the 2010-2011 school year and ESY. 1. Student is a 16 year-old-girl, who, at all relevant times, has resided with Mother and Father (Parents) in the area served by District. She was diagnosed with epilepsy at age four, and, at all relevant times, she has taken medications to control her seizures. Student attended Our Lady of the Assumption (OLA), a parochial school located in the Claremont Unified School District (Claremont), from kindergarten until approximately February 2005, when she was 9 years old and in the third grade. 2. In March 2005, Student enrolled in Valencia Elementary School (Valencia), her home school, located in the District. At or about that time, Parents requested that District assess Student for eligibility for special education. The District conducted a psychoeducational assessment and convened an IEP meeting on May 16, 2005, to discuss the results. Student was not found eligible for special education at that meeting, however, the school psychologist recommended a speech and language assessment. Parents consented to the assessment, and the District completed the speech and language assessment in time for it to be discussed at an IEP meeting that the District convened on June 6, 2005. At that time, District found Student eligible under the category of speech and language impairment (SLI), based upon impairments and the areas of articulation, fluency, and pragmatics. At an IEP meeting the District convened on April 10, 2006, the IEP team also found Student eligible in the category of other health impairment (OHI). 3. Student attended Valencia, located in the District, from March 2005, the middle of her third grade year, through fourth grade, the end of the 2005-2006 school year, when she was 10 years old. Thereafter, by Parents’ choice, Student attended OLA through the 2009-2010 school year, when she was 14 years old. Then, at the beginning of the 20102011 school year, Student enrolled in Pomona Catholic School (Pomona Catholic) for ninth grade. Pomona Catholic is a parochial school located in the Pomona Unified School District. Student has attended Pomona Catholic continuously from fall 2010 through the time of the hearing. 1 Under Section 504 of the Rehabilitation Act of 1973 (29 U.S.C. § 794, et seq. ), Districts may provide accommodations to students with disabilities, if needed, so that they may participate in school as do individuals without disabilities. Such accommodations may ordinarily be given to students with disabilities who have not been found eligible for special education. OAH does not have jurisdiction over disputes concerning the application of Section 504. 4. Upon Student’s enrollment in the District in March 2005, Parents requested a Section 504 Plan, which was denied after meetings with Mother and District personnel. 1 However, on April 1, 2005, the District adopted an Individualized Health Plan (Health Plan), which was based on Student’s history of seizures. The goal of the Health Plan was to keep student seizure-free. Student was more likely to have seizures when she had a fever, was fatigued, or became dehydrated, and the Health Plan contained instructions to manage these situations, with the goal of keeping Student seizure-free. The Health Plan also included a course of action to follow should Student have a seizure. 5. As was noted above, at Parents’ request, District conducted a psychoeducational assessment of Student, and generated a report of that assessment dated May 2, 2005. In that report, the school psychologist, Judy Trimble, recommended that Student receive a speech and language (LAS) assessment. District held an initial IEP meeting on May 16, 2005, to consider the results of the psychoeducational assessment, and determined that Student was not eligible for special education. Parents did not appear at the IEP meeting, due to a dispute over the dates. Further, Parents objected to the inclusion of a District consultant on the IEP team. At that meeting, however, the IEP team agreed to offer an LAS assessment, based upon Ms. Trimble’s recommendation. Parents consented to the assessment, and District performed the assessment. 6. After the LAS assessment was completed, the District convened another IEP meeting on June 6, 2005, and found Student eligible under the category of SLI. Parents and an advocate attended this meeting. District offered placement in a general education class, and goals were set in the areas of fluency, pragmatics, and articulation. LAS services were offered on a pull-out basis for 25 minutes, one time per week. LAS services were also offered for ESY, at the frequency of 30 minutes, one time per week. Parents consented to the IEP, except that they believed that the ESY services should be two 30-minute sessions per week, and that “epilepsy should be added as a disability on the IEP.” Parents also submitted a page of comments, again objecting to the participation of the District’s consultant at the IEP meeting, and requesting, among other things, development of a Section 504 accommodations plan and inclusion of those accommodations in the IEP, as well as one-onone tutoring for the school year and ESY by a credentialed teacher. 7. Subsequently, the evidence reflected that District convened four other IEP meetings through April 2006, while Student was still attending school at Valencia, in the District, to discuss various issues and requests presented by Mother, and to revise the June 6, 2005, IEP. At one of these meetings, the team added accommodations to the IEP, to address issues regarding Student’s seizures, such as strategies for avoiding fatigue and dehydration, and procedures for medical absences. In the IEP notes for the IEP meeting of September 16, 2005, District noted that these accommodations were added to the IEP at Mother’s request, as they were practices that were available to all students. At IEP meetings on April 10, 2006, and April 17, 2006, which were attended by Mother and her advocate, the IEP team agreed that OHI would be added as an eligibility category for Student. The IEP team agreed to provide resource specialist (RSP) support for Student in a collaboration model three times per week, for 30 minutes per session. A math goal was proposed, but was not agreed upon. Mother agreed to the IEP, with a few exceptions. Mother excepted to aspects of the proposed RSP math services, and she requested specification of the number of children in small group instruction. She requested that the small group instruction include no more than three children, and she requested that LAS services be delivered at a time other than when core curriculum was being taught. 8. District convened Student’s annual IEP on June 5, 2006. At this time, Student was still attending school in the District, at Valencia. Mother appeared with her advocate. The team continued Student’s LAS goals in the areas of fluency, pragmatics, and articulation, and again offered 25 minutes of pull-out LAS therapy, one time per week. Mother refused to consent to the District providing LAS services during instructional time and seat work time for the core curriculum. The team continued to discuss appropriate RSP services, but was unable to reach agreement in the time allotted for the meeting. Mother did not sign her consent to the IEP. 9. By letter dated August 9, 2006, Lynda Spicer, District’s Director of Student Services, who was in charge of special education matters, advised Mother that District would implement the program contained in Student’s June 6, 2005, IEP, as amended and as consented to by Parents, while the parties continued to work on Student’s annual IEP. By letter dated August 15, 2006, Mother notified Ms. Spicer that Parents were placing Student at OLA for fifth grade, because the District had not made an offer of a FAPE for Student for fifth grade. 10. Student enrolled at OLA at the beginning of the 2006-2007 school year, when Student was in fifth grade. Student never again attended school in the District from the 2006-2007 school year through the time of the hearing. District convened another IEP meeting on September 11, 2006, which Parents attended with a different advocate, Christopher Russell, who would serve as her advocate through the time of the hearing. The IEP team continued Student’s previous LAS goals, and set RSP goals. These goals included only one reading goal, involving reading aloud a fifth-grade level passage with appropriate pacing, intonation, and expression. The IEP team offered a general education classroom, with pull-out LAS services for 30 minutes, one time per week, RSP collaboration services for 30 minutes, four times per week, and RSP pull-out services for 30 minutes, four times per week. Parents objected to all of the RSP goals, on the grounds that they were not based on current assessment information. Parents attached a statement to the IEP containing additional objections to the IEP, including the formulation of the present levels of performance, and that Parents did not have sufficient information regarding areas of need. Parents again objected to Student being pulled out of core curriculum classes for her LAS services. Parents did not consent to the IEP. 11. By letter dated September 15, 2006, Ms. Spicer provided prior written notice to Parents regarding the District’s denial of the requests Parents had made at the September 11, 2006, IEP, and reiterating the offer of FAPE in the IEP. Ms. Spicer’s letter also mentioned that a Notice of Procedural Safeguards was enclosed with the letter. Mother contended that the September 11, 2006 meeting was not completed, and requested that it be reconvened. Ms. Spicer initially responded with a letter to Parents dated October 12, 2006, advising them that the September 11, 2006, IEP was finalized and constituted an offer of a FAPE, and further stating that the request for an IEP was unsupported by applicable law, as Parents had voluntarily placed Student in a private school. In spite of Ms. Spicer’s letter, and in response to Parent requests, the District convened two other IEP meetings during the 2006-2007 school year. Mother attended these meetings with Mr. Russell, her advocate. In addition to Mr. Russell, a friend accompanied her to one meeting. Neither of the meetings resulted in a changed level of services or changed goals. Mother did not consent to these IEP’s. 2 As is further discussed below, at the time the West End SELPA agreed to these assessments, Education Code section 56171 provided that the school district in which the child resided was responsible for assessing students for special education services, even if the child was attending a private school outside of the district’s boundaries. 3 The letter misstated the amount of collaborative RSP services set forth in the IEP. The IEP provided for five 45-minute sessions per week, while the letter stated that there would be five 60-minute sessions per week. 4 Student received OT services from Casa Colina one time per week from March 5, 2008, through March 26, 2008, at parental expense, to strengthen Student’s hand muscles. At the same time, Casa Colina also recommended a home program to strengthen Student’s hand muscles. There was no evidence that these services were required for Student to receive a FAPE. There was no evidence that Parents ever sought reimbursement from the District for these services. 5 This case was entitled Parents on Behalf of Student v. Upland Unified School District and West End SELPA, OAH Case No. 2007120214. At the request of the parties, the ALJ takes official notice of the OAH Decision in this case, and all proceedings in the case subsequent to the issuance of OAH’s Decision, pursuant to Government Code section 11515. 12. During spring 2007, the West End SELPA, at the request of Parents, funded an occupational therapy (OT) assessment with Casa Colina (an OT therapy center), and a vision assessment with W.A. Bescoby, O.D. 2 On July 16, 2007, the District convened an IEP meeting to discuss these assessments. Mother appeared at the meeting with her advocate, Mr. Russell, but she and Mr. Russell left the meeting when they discovered that District’s attorney, Jack B. Clarke, Jr., would be present. The remaining team members reviewed the assessment reports and updated Student’s present levels of performance. Dr. Bescoby’s report did not recommend vision therapy, but Michele Keilson, the occupational therapist from Casa Colina who attended the meeting, recommended that Student receive collaborative OT services pertaining to social skills development, writing legibility, and working independently. The team agreed that Student was eligible for OT services. The meeting was reconvened on August 20, 2007. Mother and Mr. Russell appeared at the meeting, but, as before, left because of the presence of Mr. Clarke. The IEP notes reflect that Mother said she would file complaints with credentialing and other agencies against all district personnel. After consulting with her superior, Ms. Keilson, the occupational therapist from Casa Colina also left the meeting, based upon Mother’s objection to Mr. Clarke’s presence. The OLA members of the meeting left the meeting based upon Mother’s request that they not participate in her absence. The remaining members of the IEP team discussed proposed goals, how Student might be transitioned back to public school, and topics for future IEP meetings, if Parents chose to re-enroll Student in the District. The IEP team offered the following placement and services: placement in a general education sixth grade class at Valencia; collaborative RSP services, five sessions a week for 45 minutes each session; RSP pull-out services, four sessions a week for 30 minutes per session; LAS twice a week, for 30 minutes a session, small group; and OT consultation, twice per month, for 30 minutes a session. 13. By letter dated August 21, 2007, Ms. Spicer advised Mother of the District’s offer of a FAPE for the 2007-2008 school year, as set forth in the August 16, 2007, and August 20, 2007, IEP. 3 The letter enclosed a copy of the IEP and instructed Mother where to sign and initial it. The letter also advised Mother to contact Ms. Spicer’s office if she decided to enroll Student in the District and accept the District’s offer of a FAPE. The letter stated that the Procedural Safeguards were also enclosed. There was no evidence that Parents responded to this letter. However, on August 20, 2007, Mother wrote to Carla Stephens, an RSP in the District who had been Student’s case carrier when Student attended Valencia, refusing to consent to the release by Casa Colina or any of its staff members to the West End SELPA or the District, of information about Student gathered by Casa Colina during the course of its OT assessment, including the assessment reports. 4 Mother also advised that she objected to the “disclosure of information” at IEP meetings without her presence and express consent. 14. Essentially, Parents and District did not have a smooth relationship regarding Student from the beginning. The notes of all of the IEP meetings, as well as the parties’ correspondence, reveal disagreements between Parents and District over a variety of subjects, including disputes over the dates for scheduling IEP meetings, disputes over the agendas for the IEP meetings, disputes over the times scheduled for Student’s pull-out LAS services, continuing disputes over the types of assessments included in the psychoeducational and LAS assessments District performed in 2005, and disputes over the appropriateness of the goals included in the IEP’s. Parents never consented to any IEP in its entirety. Yet, Parents did not file a due process complaint against the District regarding any of the District’s proposed IEP’s. Until filing the Complaint that is the subject of this matter, Parents had never filed a due process complaint against the District regarding Student. However, Parents were aware of their rights during this time period, and filed compliance complaints against the District with CDE regarding Student and her sibling, as well as a due process hearing complaint against the District pertaining to Student’s sibling, and a civil lawsuit against the District in San Bernardino Superior Court. 15. The due process hearing complaint regarding Student’s sibling resulted in a decision by OAH on February 18, 2011. 5 Student’s sibling’s due process complaint (Sibling’s Complaint) involved different facts than this matter. Significantly, there was sufficient evidence in the case involving Sibling’s Complaint to demonstrate that sibling required special education and related services. Among other issues, the ALJ who decided Sibling’s Complaint determined that, under California law and the IDEA, District and Claremont were both obligated to assess Student upon request by Parents. Student’s Requests for Assessment from 2008-2011. 16. On March 28, 2008, Ms. Spicer sent Parents a form entitled “Children Eligible for Special Education Enrolled by Their Parents in Private School” for Parents to fill out to express their interest in enrolling Student in public school and to request an assessment. After some correspondence between the parties regarding whether Parents had received the form and clarifying how Parents had filled it out, by May 15, 2008, Ms. Spicer had concluded that Parents were interested in an offer of FAPE to consider whether they would re-enroll Student in the District. By letter of that date, Ms. Spicer advised that, according to federal and state law, Claremont, the school district where OLA was located, was responsible for Student’s assessment. She also enclosed two release of information forms, so that District could receive information about Student from Claremont and from OLA. Ms. Spicer informed Parents that information from these entities was necessary to develop Student’s IEP, which would be a triennial IEP. She also offered three dates in June to hold an IEP meeting for Student, enclosing an IEP meeting notice for all three dates which listed the team members who were invited to attend. Mother responded by returning the meeting notice with a variety of handwritten comments. Specifically, Mother objected to the attendance of District’s legal counsel, and Claremont and West End SELPA representatives, who were listed as invitees at the meeting. Mother also accused the District of attempting to intimidate and retaliate against Mother, requested an assessment, and asserted that Claremont had informed her that District was responsible for the assessments. On the meeting notice, which Mother dated May 21, 2008, Mother suggested June 2, June 16, or June 23, for the IEP meeting. 17. By letter dated June 3, 2008, Ms. Spicer advised Parents that, as there was no assessment information from Claremont, District could not hold an IEP for Student. The letter requested that Parents contact Claremont to schedule assessments. 18. By letter of June 17, 2008, Mother wrote to Arnold Bloom, the special education director of Claremont, explaining Student’s situation and advising of the District’s belief that Claremont was obligated to assess Student. The letter requested Claremont’s position on the matter, and noted that Mother would not waive Student’s right to privacy and therefore would not agree to communications between Claremont and OLA, District, or any other parties. 19. Claremont responded to Mother’s inquiry, and advised Mother that it would assess Student, but would not be able to do so until September 2008. Therefore, on September 19, 2008, Mother wrote to Dr. Gary Rutherford, the District’s Superintendent. In the letter, she advised him that Claremont had not yet contacted her to schedule the assessment, she stated her understanding that District could not make an offer of FAPE until proper assessments had been performed, and notified him that, since District had not made an offer of FAPE for the 2008-2009 school year, Parents would place Student at OLA and provide related services, and seek reimbursement from the District. Dr. Rutherford forwarded this letter to Ms. Spicer for response. 20. By letter of September 24, 2008, Ms. Spicer responded to Parents. Her letter summarized the District’s view of the correspondence between the parties. In particular, she noted that she had previously advised Parents that Student was due for a triennial IEP which required assessment, and that Parents were aware that Claremont was responsible for the assessment, as the issue had arisen in October 2007 with Student’s sibling. Ms. Spicer’s letter also stated, erroneously, that Parent’s letter to Dr. Rutherford dated September 19, 2008, was Parents’ first contact with the District regarding their interest in an offer of a FAPE since Ms. Spicer’s letter of May 15, 2008. Ms. Spicer’s letter noted that prior to the September 19, 2008, letter to Dr. Rutherford, Parents had not notified District that Claremont would not complete the assessment in time for the District to provide an offer of FAPE before the beginning of the 2008-2009 school year. The letter advised that District was denying Parents’ request for reimbursement because of Parents’ failure to contact District about these matters and to respond to Ms. Spicer’s May 15, 2008, letter. Ms. Spicer’s letter then stated she assumed Parents still wanted to enroll Student in the District, explained that prior to conducting an IEP meeting, eligibility needed to be reestablished, and Claremont was responsible for this determination. If Claremont’s assessments and eligibility determination were completed in September 2008, Ms. Spicer offered three dates in October for District to convene an IEP meeting. The letter stated that a copy of the parents’ rights and procedural safeguards, and two release of information forms, and an IEP meeting notice were enclosed, and advised of Parents’ rights to file a complaint requesting mediation or a due process hearing. 21. By letter dated October 9, 2008, Mother responded to Ms. Spicer’s September 24, 2008 letter, stating that Claremont had not contacted her to schedule assessments, and summarizing her September 19, 2008, letter. Mother’s letter also noted that she had never agreed with the District’s position that Claremont was responsible for Student’s assessment, and noted that District has continuously failed and refused to conduct assessments for Student, and had not sent her an assessment plan. Mother’s letter also stated that Mother had made it clear in previous letters, as well as at a school board meeting, that she was interested in an offer of a FAPE from the District. 22. Ms. Spicer replied to Mother’s letter by letter of October 20, 2008. In that letter, Ms. Spicer stated that Student was voluntarily placed in a private school, and that Student had not had a triennial assessment and an IEP meeting to establish or re-establish eligibility for special education. Ms. Spicer reiterated the District’s position that, according to the Code of Federal Regulations, the school district within which the private school was located was responsible for determining and re-establishing eligibility for special education, and that once eligibility was established or re-established, the district within which the student resided responsible for offering a FAPE. The letter stated that if Claremont reestablished eligibility, Parents should contact Ms. Spicer to schedule an IEP meeting to develop an IEP and an offer of FAPE. The letter stated that Ms. Spicer was enclosing the IEP meeting notice dated May 16, 2008, pursuant to Mother’s request, as well as the Notice of Procedural Safeguards. 23. Mother never signed any of the release forms sent to her by Ms. Spicer to allow the District to obtain information about Student from Claremont and OLA. After Ms. Spicer’s October 20, 2008, letter, Parents and District engaged in no further written correspondence regarding Student during the remainder of the 2008-2009 school year, or during the 2009-2010, or 2010-2011 school years. Loren Thompson succeeded Ms. Spicer as District’s Director of Student Services in summer 2009, and served in that position throughout the 2009-2010 and 2010-2011 school years. Ms.Thompson received no written or oral request for any assessment of Student during the 2009-2010 or 2010-2011 school years, or any oral or written request for an offer of FAPE from the District for Student, or any expression that Parents were interested in enrolling Student in the District. Parents did not notify District that, due to the District’s failure to offer a FAPE, they were placing Student at OLA or at any private school for the 2009-2010 school year, or would be obtaining any special education services for their child during that time frame and ESY 2010. Parents did not notify District that, due to the District’s failure to offer a FAPE, they were placing Student at Pomona Catholic or any private school for the 2010-2011 school year. Parents never advised District of Student’s educational progress during the 2009-2010 school year and ESY, or during the 2010-2011 school year and ESY. Parents did not file a due process Complaint against District seeking an assessment for Student until filing the Complaint herein. Mother filed a compliance complaint with the CDE regarding issues pertaining to Student and her sibling in summer 2008, when the assessment issue in this matter was joined between Student and District, but did not include this dispute in that compliance complaint, and Mother did not file any compliance complaint regarding this dispute. Based upon the failure of Parents to communicate with the District about Student, as described above, Ms. Thompson considered Student to be a parentally-placed private school student. 24. Mother, who is self-employed as an environmental consultant, holds a B.S. degree from UCLA in chemical engineering and is active in community affairs. She attended several school board meetings during the 2009-2010 and 2010-2011 school years. She testified that she told the school board at these meetings that she had to put Student in private school because of her issues with the District’s special education department. She testified that she addressed the school board about deficiencies in the District’s special education policies, and regarding her criticism that the District spent money litigating special education matters rather than educating her children and other children. She also testified that, on an unspecified date, she objected to the contract for legal services between the school board and Mr. Clarke’s firm because of her opinion that the District should spend money on education rather than on legal services. Mother did not specify the dates she made any of these statements to the school board, and no documentation was presented at hearing to support Mother’s testimony that she made such statements at school board meetings. The minutes of the school board meetings that were admitted into evidence and that were dated prior to 2012 do not reflect that Mother said anything at the meetings. There was no evidence as to what the school board’s response was to Mother’s complaints and concerns. 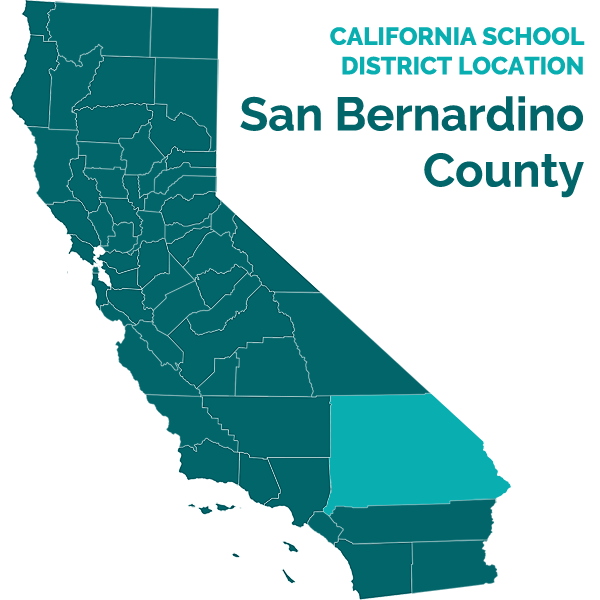 Mother also testified that, from 2009-2011, in addition to the school board, she was in contact with Dr. Rutherford, the West End SELPA Superintendent’s Council, the County Board of Education, and the San Bernardino County Superintendent of Schools. There was no evidence as to what Mother said to these entities, or precisely when she contacted them. 25. Mother also testified that she occasionally spoke to Loren Thompson, the District’s Director of Student Services, during the 2009-2010 and 2010-2011 school years, on unspecified dates, when she saw Ms. Thompson at school board meetings. Mother testified that she spoke to Ms. Thompson about “various things in general,” indicating that Mother was still involved with her children’s issues and with District’s policy issues. Ms. Thompson testified before Mother did, and Mother did not inquire of Ms. Thompson about these conversations when Ms. Thompson testified. Ms. Thompson testified that she never spoke with Mother during the 2009-2010 and 2010-2011 school years. Ms. Thompson sent Parents a letter regarding child find dated March 21, 2011. Ms. Thompson testified that she sent the letter to Parents because she knew that Mother had given birth to a third daughter approximately two years previously, and the letter was directed at any special education needs that the pre-schooler might have. She did not send such a letter to other families. She sent the letter to Parents to avoid litigation, as she was aware of the strife between the District and the family. The letter itself did not mention the pre-schooler or Ms. Thompson’s rationale for sending the letter. 26. At hearing, Mother and her advocate, Mr. Russell, offered a variety of reasons as to why they waited until July 2012, to file a due process complaint against the District for its failure to assess Student. Mother testified that she did not want to litigate against the District, because she preferred to resolve matters without litigation. Later in the hearing, Mother testified that she did not want to litigate against the District because she was “up to her eyeballs” in litigation with District. Mother and Mr. Russell also believed that they thought Student would be able to obtain the assessment from Claremont, and therefore no litigation would be necessary. Mother also stated she did not want to file due process until she had a clear understanding as to who was responsible for conducting assessments for Student. Mr. Russell, Mother’s advocate, testified that he and Mother had always believed, since May 2008, that the District had an obligation to assess, but, in view of the federal regulations and policy that Ms. Spicer mentioned in her letters, he and Mother did not feel it was appropriate to file a compliance complaint against District. Further, until the OAH decision regarding Sibling’s Complaint, he and Mother did not believe they had legal authority for their position. Mr. Russell also conceded that perhaps they “dropped the ball a bit” in waiting to sue, and that Student’s sibling was needier than Student, so he and Mother had focused more on Student’s sibling’s issues. 6 Ms. Geske testified at hearing, and was represented by Constance Taylor, Attorney at Law, of Atkinson, Andelson, Loya, Ruud & Romo. Ms. Taylor only appeared at hearing to represent Ms. Geske during her testimony. 7 At hearing the ALJ took official notice of the Claremont Matter, OAH Case No. 2012070097, pursuant to Government Code section 11515. The settlement of the Claremont Matter involved payment by Claremont of certain of the expenses that are at issue in this case, which raised a concern about Student potentially obtaining a double recovery. Since the settlement agreement was confidential, one or more of the involved parties objected to its disclosure at hearing, for a variety of reasons. Therefore, a ruling as to whether the settlement agreement should be produced was deferred. Due to the outcome of this Decision, production of the settlement agreement was not required. 8 Ms. Boyle was represented at hearing by Marina A. Macchiagodena, Attorney at Law. Ms. Macchiagodena appeared at the hearing only to represent Ms. Boyle and Samuel Torres, the principal of Pomona Catholic, who is referred to below. 9 Student’s “D” in the third trimester of Algebra would appear to eliminate her from contention from Honor Roll, based upon the criteria testified to by Ms. Boyle. No party questioned Ms. Boyle about this discrepancy. A note on the report card stated that the grades reflected allowances made for unlimited assignment completion time, and for tests and quizzes given in multiple sessions with study time allowed between sessions. There was no testimony regarding this note. 10 At hearing, the only remedies on which Student presented evidence were reimbursement for tuition and fees at OLA and Pomona Catholic, and the costs of the Lindamood-Bell program. In her closing brief, Student requested specific amounts for round-trip transportation regarding OLA, Pomona Catholic, and Lindamood-Bell, and compensatory education. Student’s request for these items violated not only the PHC Order issued in this case regarding the evidence required to recover such items, but also the instructions the ALJ gave at hearing regarding the content of the closing briefs. To the extent that Student attempted to present additional evidence in the closing briefs that was not presented at hearing, such evidence was disregarded. 28. Parents re-enrolled Student in OLA at the beginning of the 2006-2007 school year, when she was 10 years old and starting fifth grade. She attended OLA through the 2009-2010 school year, when she completed eighth grade. OLA is a Catholic Elementary School, accredited by the Western Catholic Educational Association (WCEA) and by the Western Association of Schools and Colleges (WASC). It followed California state curriculum standards, and it had filed an affidavit with the state to the effect that it existed and was providing education. During the 2009-2010 school year, OLA offered only general education to its pupils; it did not offer any specialized instruction. OLA had no special education teachers on its staff, and it had no one-to-one aides. OLA had no teachers who modified the curriculum to accommodate students with disabilities, and it offered no occupational therapy or speech and language services. It offered minor adjustment plans (MAP Plans) to children who needed them, such as preferential seating, extended time for homework and classwork, and oral testing. These adjustments would be made, in consultation with parents and school staff, for students at OLA who qualified for them; they were not part of a special education program but were a means of assisting typical children. OLA provided no specialized instruction or services to Student. 29. Bernadette Boyle, who testified at hearing, was the vice-principal of OLA when Student attended it in kindergarten (the 2001-2002 school year). 8 Ms. Boyle was the principal of OLA during the 2009-2010 school year. Ms. Boyle holds a B.A. with Honors in geography from the University of Liverpool, England, and has a certificate of education, which is a British equivalent of a California teaching credential. Ms. Boyle has no background in speech and language therapy, she is not a physical therapist, and she has no background in diagnosing children’s gross physical impairments. Ms. Boyle has known Student since she attended kindergarten at OLA. Ms. Boyle described Student as a typical OLA student, who interacted reasonably well with her peers and who performed as an average child. Ms. Boyle described Student as a “happy little thing,” and as a “nice little girl.” She characterized her conduct as “very good.” Ms. Boyle’s general impressions of Student were uncontradicted. 30. OLA provided a Section 504 Plan for Student, due to Student’s epilepsy. The 504 Plan, which had an effective date of September 1, 2006, and was amended in August 2008, contained procedures for Student to take tests and complete classwork and homework when Student was absent or tardy due to her “disability,” which the 504 Plan did not define. For example, the 504 Plan provided that if a test that had been given when Student had a disability-related absence from school, she could make up the test on a date to be determined by Parents and the teacher. If Student missed assignments during such an absence, the 504 Plan allowed her additional time to turn in those missed assignments. Student was allowed to submit typewritten assignments and projects. Student would not be considered truant or otherwise penalized during disability-related absences, tardies, or early dismissals. The 504 Plan also contained procedures to be followed to mitigate any circumstance, such as fatigue or dehydration, that would trigger seizures, and procedures to follow in case of suspected seizure activity. Ms. Boyle did not recall whether Student was ever sent home early by OLA due to fatigue during the 2009-2010 school year, and, to Ms. Boyle’s knowledge, Student did not have any epileptic episodes at school during the 2009-2010 school year. Student achieved the Honor Roll for the third trimester of the 2009-2010 school year, when she was in eighth grade. Honor Roll requirements included Student having no grade less than a “C” and having at least satisfactory conduct. 31. During the 2009-2010 school year, Ms. Boyle did not observe Student to have any speech impediments, or difficulties walking. She played normally at recess and participated normally in physical education during the 2009-2010 school year. Student could communicate her needs. Student did not require modifications to her curriculum during the 2009-2010 school year. She was not absent or tardy for an unusual number of days during that school year. Student’s report card for the 2009-2010 school year showed that she passed all of her classes. Her grades throughout the year ranged from “A’s” in Religion, PE, Art, and Music, to “D’s” in Algebra. 9 She took the Iowa Tests of Basic Skills in October 2009, which reflected a composite score of 2, and placed her in the 11th percentile, which placed her well below average for eighth grade. Her scores on the reading section of the exam were low, and she had relative strengths in the math sections of the exam, and well as in social studies and science. Student passed from grade to grade while at OLA, and was promoted to ninth grade on June 4, 2010, at the conclusion of the 2009-2010 school year. 33. Parents arranged for Student to receive Lindamood-Bell services from the Lindamood-Bell Center in Pasadena, California, between July 12, 2010, and August 2, 2010, during the summer between her eighth grade year at OLA and her ninth grade year at Pomona Catholic. Student, who was 14 years old at the time, attended Lindamood-Bell for three weeks, and received 60 hours of Lindamood-Bell instruction during that period. Lindamood-Bell programs are research-based, research-validated, and peer reviewed. The Center in Pasadena is a for-profit, California-certified non-public agency (NPA). The West End SELPA has placed children there, but it has never placed Student there. 34. Anne Perry was the Director of the Lindamood-Bell Center in Pasadena during the summer of 2010, when Student attended there, and she knew Student. Ms. Perry received her M.Ed. in elementary education from Lewis & Clark College. She was a classroom teacher for 14 years, during which she taught kindergarten through sixth grade. She has a current teaching credential for pre-kindergarten through ninth grade. She has never been a credentialed school psychologist or clinical psychologist. She has been employed at Lindamood-Bell for six years, and has been the Director at the Lindamood-Bell Center in Pasadena for in excess of three years. 35. Ms. Perry described Student’s results on the pre-tests which Lindamood-Bell administered on June 21, 2010, prior to rendering services to Student that summer. Lindamood-Bell administered the following pre-tests to Student: Peabody Picture Vocabulary Test-IV, Form A; Detroit Tests of Learning Aptitude-4 (Word Opposites); Detroit Tests of Learning Aptitude (Verbal Absurdities); Detroit Tests of Learning Aptitude2 (Oral Directions), the Woodcock Reading Mastery Test-NU, Form G (Word Attack); the Slosson Oral Reading Test-R3, the Wide Range Achievement Test-4, Form Blue (Spelling and Math Computation); the Gray Oral Reading Test, Form A, the Gray Oral Reading Test 4, Form A, the Lindamood Auditory Conceptualization Test-3, the Informal Test of Writing (Symbol to Sound and Nonsense Spelling), and the Symbol Imagery Test. Ms. Perry did not administer the tests, and she had no training in any credentialing program to administer any of the tests, although she had training from Lindamood-Bell regarding assessments. Ms. Perry did not know who had administered the pre-tests to Student, or what credentials they held to administer the pre-tests. 36. Ms. Perry interpreted Student’s results on these assessments, while acknowledging that she did not usually interpret standard scores. In her opinion, reporting scores in grade level equivalents were easier for parent to understand. She noted that scores in the 25th to 75th percentile fell in the average range. She interpreted Student’s results on the assessments to show slight deficits in decoding and comprehension. She interpreted Student’s score on the Verbal Absurdities portion of the Detroit Tests of Learning Aptitude to reflect a significant deficit. She acknowledged that this test was not currently normed, and it was used by Lindamood-Bell for instructional purposes only. She also interpreted Students’ score on the Oral Directions part of the Detroit Tests of Learning Aptitude-2 to possibly show a need for remediation regarding multi-step instruction, while acknowledging that Student’s score on this test was in the average range. This test was also not currently normed, and was used only for instructional purposes. She interpreted Student’s Woodcock NU Word Attack score to be low, and her test on the Slosson Oral Reading Test to a be a little low. Student’s scores on the Gray Oral Reading Test Form A, which were not currently normed, showed lower scores regarding Student’s recall of reading passages at the eighth grade level and above. Ms. Perry stated that Student’s scores on this test and on the Gray Oral Reading Test 4, Form A, showed that Student was at about the sixth grade reading level, but her comprehension level on the latter test reflected only a fifth grade level. On the Lindamood Auditory Conceptualization Test-3, a test of phonemic awareness, Student scored in the 27th percentile, at the 5.4 grade level. Student’s performance on the Symbol to Sound test of the Informal Tests of Writing was good, and she did quite well on the Symbol Imagery test of the Informal Tests of Writing. She testified that Student’s scores on many of the tests were within the normal range. 37. As a result of the pre-tests, Lindamood-Bell recommended, and Student received instruction in, the Seeing Stars® program, which focused on decoding, including recognizing patterns of letters in the mind’s eye, and making sound/symbol relationships. Lindamood-Bell also recommended, and Student received instruction in, the Visualizing and Verbalizing for Language Comprehension and Thinking® program, which focused on comprehension. The recommendations are based on Lindamood-Bell’s testing, not on academic testing. The written recommendations concluded with the statement: “We welcome the opportunity to provide instruction to help [Student] increase her language and literacy skills to a level commensurate with her potential.” Ms. Perry testified that Lindamood-Bell looked for areas of deficits, and worked with a child’s strengths. She stated that the purpose of the Lindamood-Bell program was to move Student to perform at grade level. She acknowledged that a significant portion of typically developing children do not perform at grade level. 38. There was no documentary evidence of results of post-testing when Student left the Lindamood-Bell program in summer 2010, but Ms. Perry and Father testified, without contradiction, that Student had made progress in the program. Due to financial reasons, Student was unable to complete the entire amount of recommended hours of services. Ms. Perry did not know Student’s educational program in 2009-2010, or how she performed in that program. Ms. Perry did not recall whether Student had a disability, or whether she had epilepsy, or whether Student had any seizures while at the Lindamood-Bell Center during the summer of 2010, or whether Student required special education. Lindamood-Bell receives the IEP’s of children who attend its programs and who have specific learning disabilities, but Ms. Perry did not recall seeing any IEP’s for Student or any psychoeducational assessment. 39. Parents paid for Student’s Lindamood Bell Services by three checks in the amount of $1,980 each, on July 14, July 19, and July 26, 2012. 40. Student enrolled in Pomona Catholic at the beginning of the 2010-2011 school year, when she was 14 years old and entering ninth grade. Pomona Catholic is located in the Pomona Unified School District (Pomona). Parents did not notify District during the 20102011 school year that Student was enrolled in Pomona Catholic, which she attended continuously through the time of the hearing. 11 As was mentioned above, Mr. Torres was represented at hearing by Marina A. Macchiagodena, Attorney at Law. 41. Samuel Torres, the principal of Pomona Catholic at all relevant times, testified regarding Pomona Catholic. 11 Mr. Torres holds a B.A. degree from California State University, Los Angeles, and an M.A. from Frostburg State University. He completed part of his doctoral studies at Duquesne University in Pittsburgh, Pennsylvania, and, at the time of the hearing, he was completing his doctoral degree in educational leadership for social justice at Loyola Marymount University. Mr. Torres was not a speech and language pathologist, was not trained to be able to detect a lisp, and he was not an occupational therapist. 42. Pomona Catholic is accredited by the WCEA and WASC. It is a college preparatory high school, and 99 percent of its pupils are accepted to a four year or two-year college or a vocational program. It offers the “a-g” courses, which are required for admission to the University of California and California State University. Pomona Catholic has an Extended Learning Center on campus, staffed by support staff and teachers, where students may receive tutoring, or participate in a study group. The Extended Learning Center is available to all students on campus. Pomona Catholic did not offer special education instruction or related services. It had no teachers on staff with special education credentials or who were certified to provide special education. There were no speech pathologists or occupational therapists on staff, and the school did not contract with any such professionals to provide services. Pomona Catholic offered no special education of any kind, and Student received no special education or related services as a pupil there during the 2010-2011 school year. She had no modifications to her curriculum. 12 A few of the exhibits in evidence mention that Student had an asthmatic condition, but there was no testimony regarding this condition, and whether or how it related to Student’s education. 43. Pomona Catholic offered minor adjustments to assist students. Those who needed less assistance, such as those who were struggling in class or needed additional help, could receive a STEP (Support Team Educational Plan) plan. Minor adjustments for students who needed more help than a STEP plan provided could receive a more formal Minor Adjustment Plan (MAP Plan.) Both of these plans were available to any student in the school who needed them. Student had a MAP Plan, dated October 14, 2010, to help control and manage her epilepsy, which the MAP Plan defined as her “mental/physical impairment.” The MAP Plan was similar to the 504 Plan Student had at OLA. The MAP Plan provided instructions for staff should Student have a seizure or suspected seizure. To avoid seizures, the MAP Plan provided that Student would be taken to the main office when she felt cold or tired. Student’s temperature would be taken there and, depending upon her temperature, she would take Tylenol or Motrin in prescribed dosages. The MAP Plan provided that Student would use an inhaler at school only if she were wheezing. 12 The MAP Plan also provided that Student would be allowed to make up work which she missed if she were tardy or absent due to her disability, and to receive make-up instruction, and that tardies due to her disability would not count as tardies for detention purposes under the school’s policies. Any student in school would be eligible for a STEP or MAP Plan, if the circumstances of that student warranted it. The adjustments in Student’s MAP Plan were similar to those that would be included in a MAP Plan for any student at school with a medical condition. The MAP Plan was a contingency plan, and Mr. Torres did not know whether it had ever been implemented. On some testing days, Student would ask for additional time to complete her tests. 44. Mr. Torres knew Student, and he talked to her several times a week and observed her from time to time. She did not have any significant absences from school in the 2010-2011 school year due to her epilepsy. Her epilepsy was not apparent during the 20102011 school year. She was typically on time, on-task, and well-behaved. She had no difficulties physically accessing any area of campus, including the school’s second floor. She demonstrated no social difficulties or communication difficulties, and she needed no assistance in accessing her curriculum. Parents provided no services for her at school. Typical students at Pomona Catholic often enrolled in off-campus programs such as Lindamood-Bell and Sylvan. The fact that Student obtained Lindamood-Bell services was not an indication that she needed special education. At some point, Mother presented Mr. Torres with the 2007 OT report from Casa Colina, and he requested that Mother provide an updated report. He did not recall receiving any updated report from Parents, or discussing with them any need of Student for assistance with writing assignments. 45. Student’s teachers did not modify or adjust Student’s grades due to any disability of Student, and Student was on a college-bound track. In the first semester of ninth grade, she received grades ranging from an “A+” in Religion to a “C” in Spanish I. She took Study Skills as an elective course; it was not related to any disability. Her Study Skills class required that Student go to the Extended Learning Center, where she would review the day’s school work and could get assistance with the work and with organizational skills. During the second semester of the 2010-2011 school year, Student achieved High Honor Roll, and she received certificates of achievement for superior achievement in Study Skills and Spanish I. She passed ninth grade and was promoted to 10th grade the following year. At the time of the hearing, she was in 11th grade at Pomona Catholic. 46. During the 2010-2011 school year, Parents paid tuition to Pomona Catholic in the sum of $5,554. 1. The petitioner in a special education due process hearing has the burden of proving his or her contentions at the hearing. (Schaffer v. Weast (2005) 546 U.S. 49, 56-57 [126 S. Ct. 528].) As the petitioning party, Student has the burden of proof in this case. 2. Student contends that District had a duty to assess Student and develop an IEP following the assessment. Student contends that the District’s failure to assess Student prevented Parents from participating in formulating Student’s educational program, and deprived Student of a FAPE during the 2009-2010 and 2010-2011 school years. Student contends that her claim for the 2009-2010 school year and ESY is not barred by the statute of limitations, because District misled her as to its obligation to assess Student, and she was unaware of legal authority at the time to support her contention that District was obligated to assess Student until OAH’s decision regarding Sibling’s Complaint in February 2011. 3. District contends that it had no duty to perform the triennial assessment of Student in 2008 or thereafter, as she was attending private school outside of the District. District asserts that Claremont, where OLA was located at the time that Parents requested an assessment, had the obligation to assess Student and to convene an IEP meeting to determine whether Student was eligible for special education. District further contends that Student’s claims regarding the 2009-2010 school year are barred by the statute of limitations, and that District did nothing to prevent Student from filing a timely due process complaint. District also contends that Student is barred from recovery by reason of the conduct of Parents, and that OLA and Pomona Catholic were not appropriate placements for Student, because they offered no special education services. 6. The issue of whether a school district has offered a FAPE has substantive aspects in addition to the procedural components. In Rowley, supra, the United States Supreme Court addressed the level of instruction and services that must be provided to a student with disabilities to satisfy the substantive requirements of the IDEA. The Court determined that a student’s IEP must be reasonably calculated to provide the student with some educational benefit, but that the IDEA does not require school districts to provide special education students with the best education available or to provide instruction or services that maximize a student’s abilities. (Rowley, supra, at 198-200.) The Court stated that school districts are required to provide only a “basic floor of opportunity” that consists of access to specialized instructional and related services which are individually designed to provide educational benefit to the student. (Id. at 201.) In County of San Diego v. California Special Education Hearing Office, et al. (1996) 93 F.3d 1458, 1467, the court specified that educational benefit is not limited to academic needs, but also includes the social and emotional needs that affect academic progress, school behavior, and socialization. 13 All references to the Code of Federal Regulations are to the 2006 edition, unless otherwise specified. 14 Until they were amended effective October 2006, the regulations implementing the IDEA provided that child find and assessments for parentally-placed private school children was the responsibility of the school district where the child resides (hereafter, DOR). (34 C.F.R. § 300.451 (1999).) Education Code section 567171 also so provided, until October 10, 2007. On that date, Education Code section 56171 was amended to provide, in conformity with the October 2006 regulations, that the responsibility of child find and assessments for such privately placed students was the DOL. 14. Parents may be entitled to reimbursement for the costs of placement or services they have procured for their child when FAPE is at issue. Such reimbursement may be ordered when the school district has failed to provide a FAPE, and the private placement or services were appropriate under the IDEA and replaced services that the school district failed to provide. (School Committee of Burlington v. Department of Education (1985) 471 U.S. 359, 369-371 [1055 S.Ct. 96] (Burlington).) School authorities may also be ordered to reimburse parents for their expenditures on private special education for a child if the school authorities did not offer the child a FAPE and if the unilateral private placement chosen by the parents is appropriate under the IDEA. (Id. at p. 369.) However, the placement chosen by the parents need not met the requirements for a FAPE, as long as it offers an appropriate educational program. (Florence County School District Four v. Carter (1993) 510 U.S. 7, 12-13 [114 S.Ct. 361] (Florence County.). 16. The IDEA also places several statutory limitations on reimbursement to parents for costs of a placement that they have selected when FAPE is at issue and the school district has not offered a FAPE. Specifically, 34 Code of Federal Regulations part 300.148 provides that the amount of such reimbursements may be reduced or denied under certain circumstances, including (1) if the parents did not give notice at the most recent IEP team meeting that the parents attended prior to removal of the child from the public school, or at least 10 business days before removing the child from the public school, that they were rejecting the placement, including stating their concerns and their intent to enroll their child in a private school at public expense or (2) if the actions taken by the parents were unreasonable. 20. Student failed to demonstrate that District denied Student a FAPE during the 2009-2010 school year and ESY. Furthermore, Student’s claim as to the 2009-2010 school year is barred by the statute of limitations. 15 District disputes that the law required it to assess Student, asserting that Letter to Eig, supra, is not binding authority, and that obligating two school districts to assess a Student could have extremely undesirable consequences and lead to a multiplicity of litigation. Letter to Eig, however, is persuasive authority in this matter, because its fact pattern is so similar to this case, and because it represents a legal interpretation by the responsible agency. (Thomas Jefferson University v. Shalala (1994) 512 U.S. 504, 511-512 [114 S. Ct. 2381].) Furthermore, as was set forth above, both Letter to Eig and the Comments to Regulations acknowledged that imposing a concomitant duty on the DOR and the DOL to assess a child could have deleterious consequences, but nevertheless concluded that the law required imposing such a duty. 21. As was stated in Conclusions of Law 10-12, the DOR has an obligation to assess children who reside in the school district and determine the child’s eligibility for a FAPE when the parents request that the school district assess, even if the child is attending a private school in another school district. The DOL also has the obligation to assess the child, but the DOR cannot refuse to assess the child on the grounds that the DOL has the obligation to assess. 15 As was stated in Conclusions of Law 5 and 10, a failure to assess or to properly assess a child is a procedural violation, which is actionable only if the violation impeded the child’s right to a FAPE, significantly impeded the parent’s opportunity to participate in the decision making process regarding the provision of a FAPE, or caused a deprivation of educational benefits. As was stated in Conclusions of Law 17-19, the statute of limitations is two years from the date the party learns of the facts that would support the legal claim, not when a party learns that it has a legal claim. There is no equitable tolling of the statute of limitations. Exceptions to the statute of limitation do not apply when the conduct that is alleged to toll the statute of limitations is the same conduct that is the basis of the due process claim. Further, if the parties knew of their procedural options, they cannot invoke the exceptions to the statute of limitations, as the conduct which establishes the existence of the exceptions must also cause the complaint to be untimely filed. 22. District, as Student’s DOR, was required to assess Student when requested to do so by Parents. By Ms. Spicer’s letter to Parents of May 15, 2008, District acknowledged that Parents had requested District to assess Student and offer a FAPE. District refused to assess, based upon its conclusion that Claremont, as the DOL, was obligated to perform the triennial assessment. After some correspondence between District and Parents, Parents notified the District, by letter dated September 19, 2008, that they were placing Student at OLA because District had not offered a FAPE. More correspondence ensued, during which District reiterated its position that it would not assess Student, as Claremont was responsible to perform the triennial assessment of Student and to determine Student’s eligibility for special education. There was no correspondence on this topic between the parties after October 20, 2008. Student did not file this action until July 13, 2012, seeking relief for the 2009-2010 school year and ESY. Pursuant to the two-year statute of limitations, Student may only maintain her claim for the 2009-2010 school year and ESY to the extent that those claims occurred within two years from July 13, 2012, or from July 13, 2010, onward. 23. Mother and Student’s advocate gave numerous, and sometimes conflicting excuses as to why they did not file this Complaint within the time period of the statute of limitations. Some of their excuses are not credible. For example, in view of Mother’s history of litigation with the District in a variety of forums over a variety of issues, Mother’s testimony that she did not file this case earlier because she prefers to settle disputes and to avoid litigation is not persuasive. In particular, there was no evidence that Parents made any attempt to settle this dispute regarding Student’s assessment between October 2008 and approximately June 2012. Additionally, since there is no equitable tolling of the statute of limitations in IDEA cases, nearly all of Parents’ excuses for not timely filing this Complaint are not relevant to the issue of the statute of limitations. 24. Student contends that an exception to the statute of limitations applies because the District misled her, in that it did not advise her that it had an obligation to assess Student, and she only learned of legal authority to support her position regarding the District’s obligation to assess Student in February 2011. These facts are not sufficient to establish an exception to the statute of limitations. With respect to the first statutory exception to the statute of limitations, these facts, on their face, do not constitute a specific misrepresentation by the District that it had resolved the problem forming the basis of the Complaint. The District did not intentionally mislead Parents or knowingly deceive them about any such matter. 25. Nor do these facts establish the second statutory exception to the statute of limitations, which pertains to the withholding of information that the District was statutorily required to provide to Parents. First, the information that District is statutorily obligated to provide Parents under the Education Code and the IDEA are their procedural rights and prior written notice. District repeatedly provided these to Parents. Specifically, with respect to prior written notice, District shared with Student, through the numerous letters between the parties from spring 2008 through fall 2008, its legal and factual reasoning for its position that Claremont had the obligation to assess, thereby framing one of the legal issues in this case. Under I.H. v. Cumberland Valley, supra, 842 F. Supp. 2d at page 775, District had no duty to advise Parents that it had an obligation to assess Student, as the District’s failure to assess is one of the issues that constitutes the basis for Student’s claim in this case. 26. Additionally, Student has cited no authority that District was under any obligation to advise Student of a legal position–that District was obligated to assess–that District did not believe was accurate. 27. Student’s contention is also unmeritorious because it overlooks that the statute of limitations focuses on the facts that Student knew, or should have known, regarding her claim, not whether Student knew of a legal basis for her claim. The evidence demonstrates that Student knew of the facts supporting her claim in this case—the District’s refusal to assess Student—as early as May 2008, upon receipt of Ms. Spicer’s letter dated May 15, 2008. Student contended that she did not know that she had any supporting legal authority for her own position until February 17, 2011, when OAH issued the decision regarding Sibling’s Complaint. However, as is stated in Conclusion of Law 17, the statute of limitations is only tolled until the party knows the facts underlying the party’s claim. There is no tolling of the statute of limitations because a party did not know that it had a legal basis for a claim. 28. Student’s contention is also unmeritorious because Student cannot demonstrate that the District’s conduct caused Student to file her Complaint late. At all relevant times, Student was aware of her procedural rights and safeguards, and of her right to file a due process complaint. The evidence was uncontroverted that Mother and her advocate at all relevant times believed that District had an obligation to assess Student. Under these circumstances, there is no legally cognizable excuse for Student’s failure to timely file her Complaint. 29. Consequently, based upon Findings of Fact 1-32, and Conclusions of Law 1, 4-19, and 21-28, Student’s claims for reimbursement for the 2009-2010 school year at OLA, which extended through her graduation from OLA on June 4, 2010, are barred by the statute of limitations. 30. Student also claims reimbursement for extended school year 2010, and the costs of her attendance at the Lindamood-Bell Center between July 12, 2010, and August 2, 2010. Student contends that these expenses, the first payment of which occurred on July 14, 2010, were incurred due to District’s failure to conduct an assessment and offer her a FAPE for ESY 2010. 31. To the extent that Student attended Lindamood-Bell from July 13, 2010, onward, this claim is not barred by the statute of limitations. Nevertheless, the claim is unmeritorious, as Student did not demonstrate that Parents provided Lindamood-Bell services to her because the District deprived her of a FAPE. 32. As was stated in Conclusions of Law 5 and 10, the failure to conduct an assessment is a procedural violation, which is actionable only if the violation impeded the child’s right to a FAPE, significantly impeded the parent’s opportunity to participate in the decision making process regarding the provision of a FAPE, or caused a deprivation of educational benefits. As was stated in Conclusion of Law 4, a special education student is only entitled to ESY services if interruption of the student’s educational programming may cause regression and the student has limited recoupment capacity so as to render it unlikely that student will attain an expected level of self-sufficiency and independence. 33. Student did not demonstrate that she was eligible for special education, during ESY 2010, or at any other relevant time, such that she was entitled to a FAPE, and was harmed by District’s failure to perform the triennial assessment. Rather, the evidence demonstrated that Student was not only passing all of her classes during the 2009-2010 school year, without the benefit of any special education services at all, but also that she had received recognition for her academic achievement, such as being placed on the Honor Roll. Similarly, Student failed to demonstrate that she required Lindamood-Bell services during the summer of 2010. Student did not demonstrate that she required specialized instruction of the sort provided by Lindamood-Bell, or that she had issues regarding regression and limited recoupment capacity. Nor did Student present evidence that her Lindamood-Bell services were required for her to access her curriculum, or provided her educational benefit in her classes at Pomona Catholic, where she enrolled in fall 2010. In this regard, the evidence was undisputed that typical students, such as those who attended Pomona Catholic, attended programs such as Lindamood-Bell simply to improve their academic performance. Ms. Perry, the Director of Lindamood-Bell’s Pasadena office, was unaware that Student was not a typical general education student. She was unaware that Student had ever been a special education student, or had ever had an IEP, and did not recall whether Student had epilepsy or any disability. The Lindamood-Bell assessments about which Ms. Perry testified did not, and were not intended to, reveal that Student required special education. Rather, they only reflected that Student had a few academic weaknesses, which, as Ms. Perry testified, were consistent with a typical student. Under these circumstances, the evidence does not substantiate Student’s claim for reimbursement of Lindamood-Bell services during the summer of 2010. Additionally, as is more fully explained below in Conclusions of Law 4148, Parents’ unreasonable conduct during the period of 2009-2011, prevents Parents on equitable grounds from receiving reimbursement for educational services they provided for Student. 34. Pursuant to Findings of Fact 1-39, and Conclusions of Law 1, 4-16, 30-33, and 41-48, Student’s claim that she was denied a FAPE during ESY 2010, and is therefore entitled to reimbursement for Lindamood-Bell services, is unmeritorious. Issue 3: Denial of FAPE during the 2010-2011 school year and ESY due to District’s failure to assess Student and develop an IEP. 16 In her Complaint, Student alleges a deprivation of FAPE through ESY 2011. However, there was no evidence that Student attended any educational program or received any educational services during the summer of 2011. 36. As was stated in Conclusions of Law 10-12, the DOR has an obligation to assess children who reside in the school district when the parents request that the school district assess, even if the child is attending a private school in another school district. The DOL also has the obligation to assess the child, but the DOR cannot refuse to assess the child on the grounds that the DOL has the obligation to assess. As was stated in Conclusions of Law 5 and 10, a failure to assess or to properly assess a child is a procedural violation, which is actionable only if the violation impeded the child’s right to a FAPE; significantly impeded the parent’s opportunity to participate in the decision making process; or caused a deprivation of educational benefits. 37. As was stated in Conclusions of Law 14-16, reimbursement for a unilateral placement when FAPE is at issue may be reduced or denied if parents do not timely notify the school district that they are unilaterally placing the child because the school district did not offer a FAPE, or if the parents’ actions were unreasonable. 38. District was required to assess Student in spring 2008, when Parents submitted to Ms. Spicer the completed from she had sent to them, on which they had expressed a desire to enroll Student in the District and requested an assessment and an offer of a FAPE. Parents reiterated this request in subsequent correspondence with the District. District refused to assess, and Parents notified the District, by letter dated September 19, 2008, that they were placing Student at OLA because District had not offered a FAPE. 39. However, Student’s contentions that District denied her a FAPE and is responsible to reimburse her for her placement at Pomona Catholic are unmeritorious. 41. Second, pursuant to Conclusions of Law 14-16, Parents’ conduct in not requesting an assessment or an offer of FAPE from the District, or providing the District any pertinent information regarding Student, is grounds to deny any reimbursement for the costs of Student’s attendance at Pomona Catholic. After October 2008, Parents never submitted any written request to the District for an assessment of Student, never made any oral request to Ms. Spicer or Ms. Thompson for an assessment of Student, never made any written request for an offer of FAPE for Student, never gave any written notice that they intended to enroll Student in the District, and never gave any written notice that they were enrolling Student in a private school because they had not received an offer of FAPE from the District. The evidence was also undisputed that Mother, an articulate college graduate and professional, knew how to write letters to the special education personnel at the District to make those requests and to impart information to the District. 42. Mother contended that it was obvious from her appearances at school board meetings subsequent to October 2008, and the information she provided to the school board, that she was interested in an assessment and an offer of FAPE for Student. Mother failed to demonstrate that this was true. First, members of the public may speak at school board meetings regardless of whether they have children, regardless of whether they have children in the school district, and regardless of whether they want their children to attend school in the school district. The mere facts that Mother appeared at, and/or spoke at school board meetings, and the school board members and others knew her identity, knew she resided in the District, and knew she had school-age children, do not, by themselves, give the District notice of any information relevant to this case. Further, except for Mother’s vague testimony, there was no specific evidence at hearing that Mother, during the time period at issue, advised the school board that she wanted District to offer a FAPE for Student, or that she wanted District to assess Student. There was no documentation that Mother made any such statements or requests to the school board during the time period at issue. The school board minutes do not reflect that Mother made any such statements or requests to the school board during the 2009-2010 or 2010-2011 school years regarding these matters. Again, Mother was completely capable of putting her inquiries and comments regarding these matters in writing, but there was no evidence that Mother did so. Mother’s testimony that she was in contact with other educational entities in the community, and attended or spoke at other public educational board meetings, was also insufficient to show that she properly notified the District during the relevant school years that she wanted an assessment and an offer of FAPE for Student. 43. Further, there was no evidence that the school board had any authority to address specific issues regarding Student’s assessment and an offer of FAPE. Indeed, when Mother wrote to the District Superintendent in September 2008 to notify the District that Parents were enrolling Student in private school, the Superintendent did not respond to the substance of the letter, but rather referred it to Ms. Spicer, the Director of Student Services, whose job it was to handle special education matters. It is likely that had Parents made a clear request at a school board meeting for an assessment for Student, or for an offer of a FAPE for Student, the school board would have handled any such requests the same way. However, there was no evidence that the school board forwarded to Ms. Spicer or to Ms. Thompson (who succeeded Ms. Spicer as the District’s Director of Student Services in 2009) any information regarding any such parental requests or concerns regarding Student. 44. Mother also testified that she had conversations with Ms. Thompson in 2009 and thereafter, but she offered no evidence as to when those conversations occurred, or specifically what was said during those conversations. Ms. Thompson’s testimony conflicted with Mother’s on this issue. Ms. Thompson testified that, except for the letter of March 21, 2011, she had no contacts with Parents from July 2009 onward. Ms. Thompson testified that her knowledge of Student between 2009 and June 30, 2012, when she ceased being the Director of Student Services, was limited to an assumption, based on Student’s sibling’s enrollment at OLA, that Student was attending OLA. Ms. Thompson testified that she was not aware, and had not been notified, that Student began attending Pomona Catholic in fall 2010. Ms. Thompson was not aware at any time whether Claremont had performed any assessment of Student. In view of Ms. Thompson’s testimony, Mother’s testimony regarding her conversations with Ms. Thompson lacks credibility, for several reasons. First, Mother did not provide details of when she spoke to Ms. Thompson and what she said. Second, Mother made no attempt to refresh Ms. Thomson’s recollection about the alleged conversations at hearing, and Ms. Thompson testified before Mother testified. Third, Mother failed to put any of these conversations in writing, although Mother freely wrote to the District prior to 2008 about a variety of matters pertaining to her children. Fourth, Ms. Thompson voluntarily sent Mother the March 21, 2011, letter pertaining to child find, in part to avoid litigation because she was aware of Mother’s strained relationship with the District. It is therefore likely that Ms. Thompson would have responded to any requests Mother had expressed to her regarding Student, due to Ms. Thompson’s concerns about the District’s relationship with Student’s family. Consequently, Ms. Thompson’s testimony regarding her contacts with Mother is more credible than Mother’s. 45. The IEP dated August 20, 2007, which pertained to the 2007-2008 school year, was the District’s last offer of a FAPE for Student. Ms. Spicer’s October 20, 2008, letter, advising Mother that the District considered Student to be a privately placed Student, but that Mother should advise the District if Claremont re-established Student’s eligibility for special education so that Ms. Spicer could schedule an IEP meeting and the IEP team could develop an IEP and offer a FAPE. Mother, in turn, did not pursue any assessment from Claremont until May 2010, when she filed a compliance complaint against Claremont, and never advised the District of the status of that assessment until the hearing in this matter in fall 2012. Since Mother refused to sign a release by which District and Claremont could share information about Student, District could only acquire information about the status of Claremont’s assessment and its IEP process from Parents. The evidence showed that from October 2008 until the time this action was filed in July 2012, Parents had not provided any written notice to the District that they wanted an offer of a FAPE for Student, or that they wanted District to assess Student. The evidence showed that from October 2008 until the time this action was filed in July 2012, Parents had not notified District of Student’s academic status, or progress, or of the schools she was attending. From October 2008, until the time this action was filed in July 2012, the weight of the evidence showed that Parents had not provided any clear notification to the District that they wanted District to assess Student and offer Student a FAPE. Under these circumstances, and given that Student’s last IEP was three years old as of the beginning of the 2010-2011 school year when Student entered Pomona Catholic, Ms. Thompson and the District were reasonable in concluding that Student was a parentally-placed private school Student. Ms. Thompson and the District were reasonable in concluding that FAPE was no longer at issue regarding Student until District received clear notice that Parents desired an assessment of Student and an offer of a FAPE because Parents wished to enroll Student in the District. Parents indisputably knew how to provide such clear notifications. 46. Under these circumstances, even if Student had established a denial of a FAPE, equitable principles require that Parent’s request for reimbursement for costs incurred at Pomona Catholic be denied. Parent’s failure to communicate with the District over the span of almost four years, as described above, was unreasonable. Under these circumstances, District should not be required to reimburse Parents for Student’s education at a school of Parents’ choice, located outside of the District, that District did not even know Student was attending. Similarly, as was mentioned in Conclusions of Law 33 and 34, District should not be required to reimburse Parents for the Lindamood-Bell services Student received. 47. Furthermore, as was stated in Conclusion of Law 15, the intentions of Parents in enrolling Student in a private school can be considered in determining whether equitable principles support reimbursement. The complete unavailability of any special education services at Pomona Catholic indicates that Parents did not choose this school out of concern for the impact, if any, of Student’s disability on her ability to access her education. Under these circumstances, it would be inequitable to subject the District to reimburse Parents for the expenses they incurred by reason of Student’s enrollment at Pomona Catholic. 48. Pursuant to Findings of Fact 1-46, and Conclusions of Law 1, 4-13, and 35-40, District has not deprived Student of a FAPE. For that reason, and also by reason of their unreasonable conduct as discussed in Findings of Fact 1-46, and Conclusions of Law 1, 4-16, and 41-47, Parents are not entitled to reimbursement for Student’s attendance at Pomona Catholic during the 2010-2011 school year. Education Code section 56507, subdivision (d), requires that this Decision indicate the extent to which each party prevailed on each issue heard and decided in this due process matter. District prevailed on each issue heard and decided in this matter. This is a final administrative decision, and all parties are bound by it. Pursuant to Education Code section 56506, subdivision (k), any party may appeal this Decision to a court of competent jurisdiction within ninety (90) days of receipt.